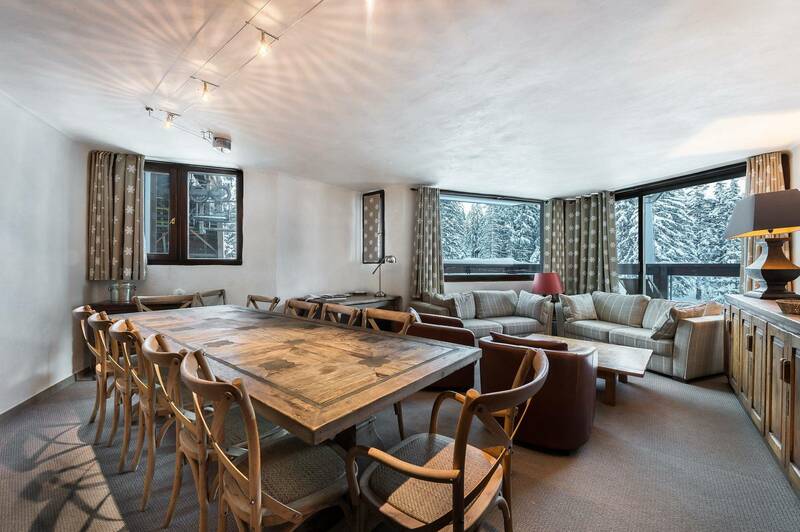 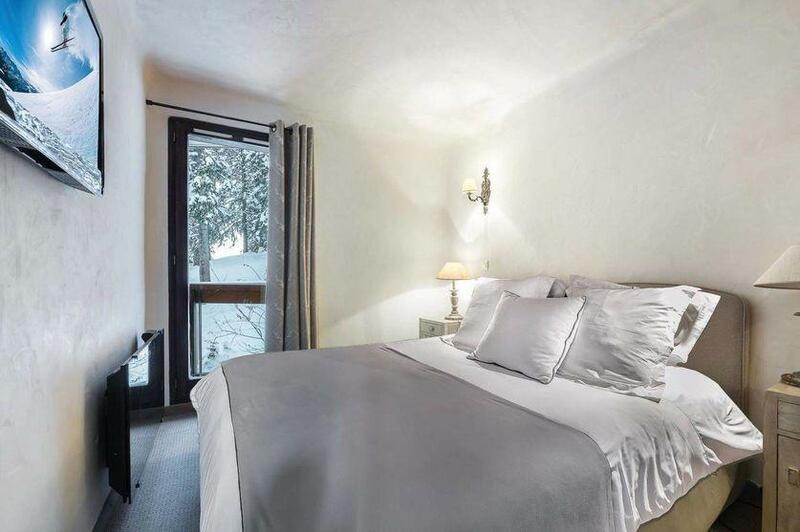 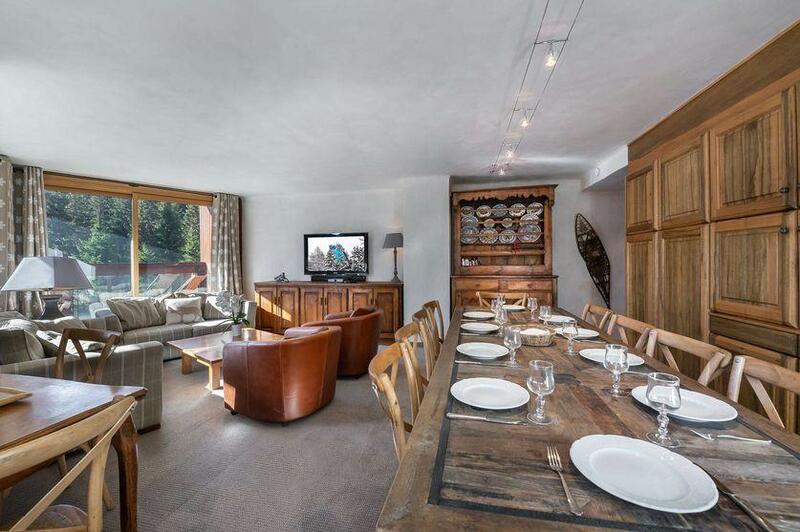 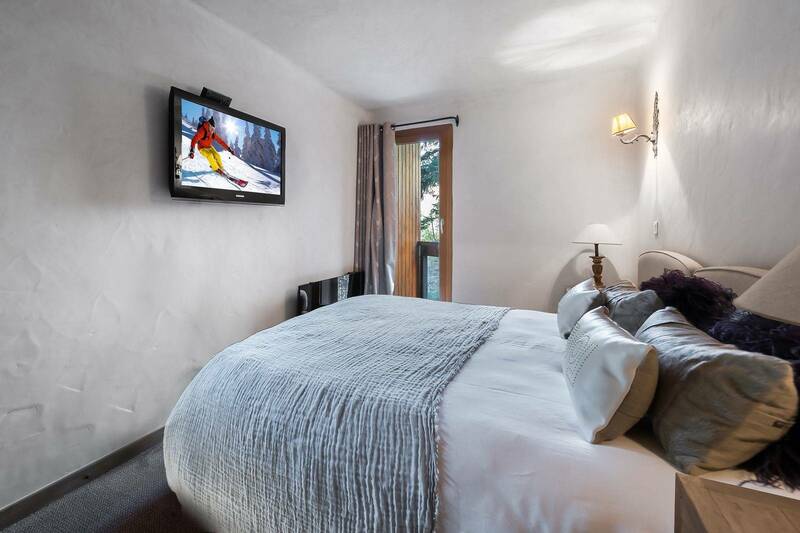 The B 110 apartment is located in the Domaine du Jardin Alpin residence in Courchevel 1850, which offers you the possibility of leaving and returning to your accommodation while keeping your skis on. The apartment of 110sq.m, with its 4 bedrooms can accommodate up to 8 people. 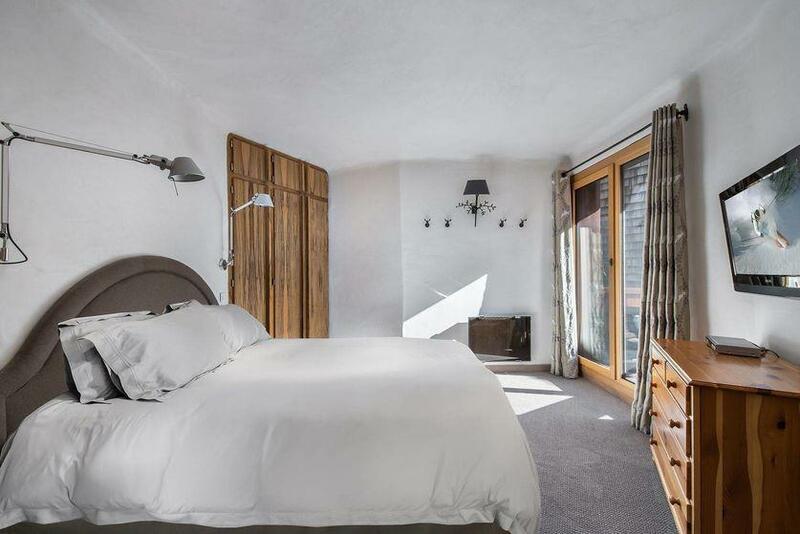 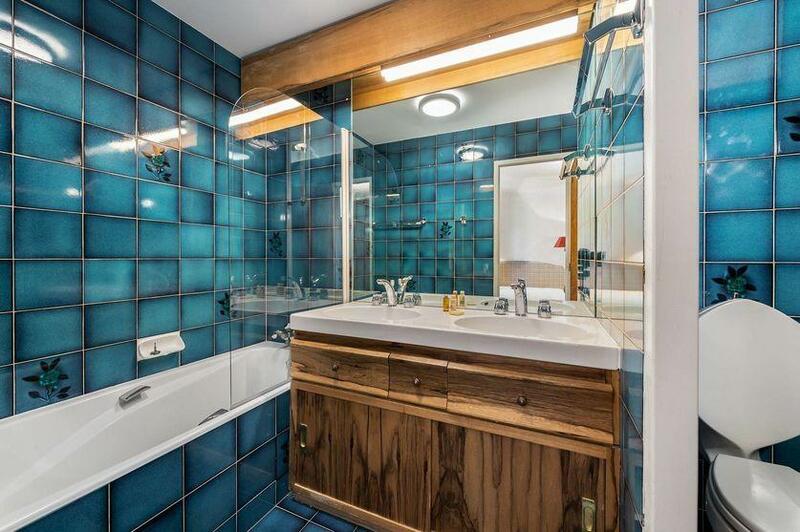 It has 3 double bedrooms with en-suite bathroom and 1 bedroom with a bunk bed and shower room. 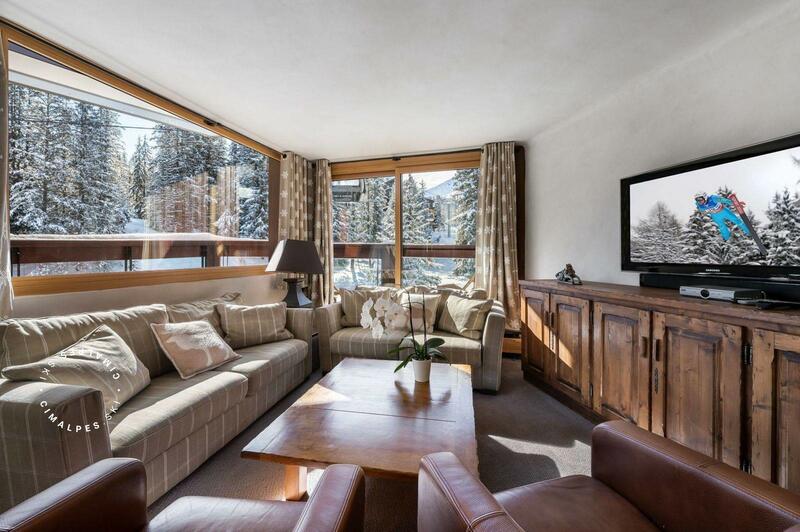 Discover the lounge, bright thanks to its large windows. 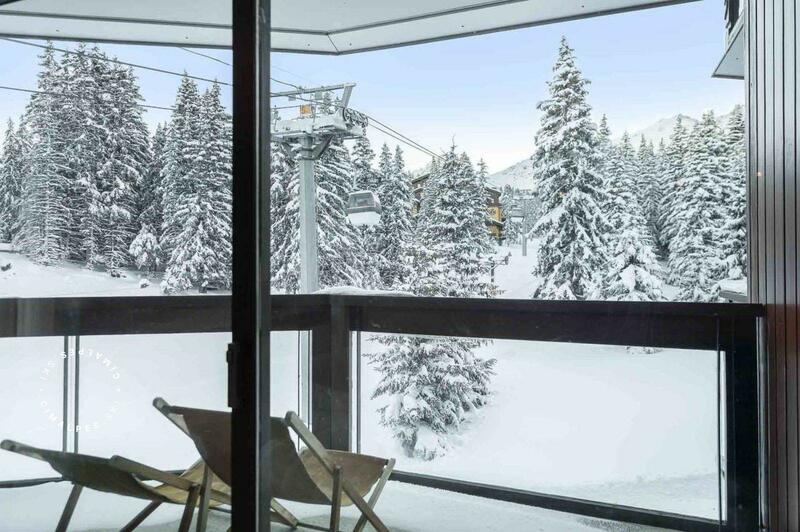 Located on the 1st floor with a south-facing balcony, you'll be able to fully enjoy the sunny winter days.